A portuguese team has built, from scratch, the first Digital Coffee Museum in the world. CoffeeMuseum started almost two years ago by a small team of creative people from Portugal that were completely in love with coffee. 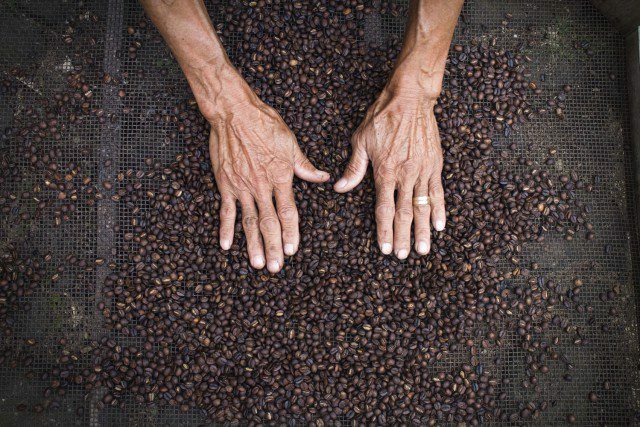 Yet, they travelled to Sao Tome and Principe – an old coffee producer – to grab the most wonderful story about coffee, and to capture magnificent images that everyone can see now at the website. CoffeeMuseum is shown to you just like a physical museum – with permanent and temporary exhibitions – which wants to provide you with an online experience developed to feel coffee as never before, telling you stories about coffee and coffee people. The truth is the CoffeeMuseum is much more than that. It’s also a “coffee ba” (Japanese word that means “Place”): a shared place for emerging relationships and knowledge creation, without boundaries and completely dynamic. A “phenomenal” place where everyone is invited to interact, and create collective knowledge – that can emerge in individuals; working groups; project teams; informal circles; temporary meetings; email groups; and at the front-line contact with coffee consumers. Another concept created was “coffeeism”: to raise coffee art to a status similar to cubism or surrealism. In fact, it wants “empower the consumer”, by sharing ideas, opinions, tastes, experiences, emotions and moments with coffee, through videos, images, articles, artwork, sketches and more. Most of all, this innovation platform wants to show you “coffee” like you have never seen before, unlocking the “secrets” of trading, traditions, emotions and stories, and creating a new art vanguard. Definitely, coffeemuseum.com is here to show you something new, by creating an extra layer of value across all coffee stakeholders, without competing with none. Sao Tome and Principe was the place chosen as the inspiration for the CoffeeMuseum’s very first collection. As a place where the massive production of coffee has been lost over the years, this collection was designed to create a memory, and provide an unprecedented link between past and present; shadow and light; art and nature; the discomfort of ruins and the comfort inherent to art – while engaging in an immersive web experience. In about seven minutes, “Manuel” presents one of the many stories that can be found in Sao Tome: “His name is Manuel. 71 years old. Widowed. Carpenter. Owner of a coffee lot at Roça Monte Café (Sao Tome and Principe). Land from which everything springs, without asking permission.” Check the short online at this link.